Our oldest daughter is Annie. Annie is a first-born of three sisters. She is a CPA in Dallas and quite the go-getter. She is really enjoying cooking and baking and finding great recipes. Annie LOVES her sweets. I think she might love sweets even more than me! Recently, she was visiting her boyfriend in another state and I think they spent a Saturday visiting like 4 different sweet shops - whether cupcakes, ice cream, cookies, etc. Annie has two Instagram accounts - her regular one and then she made a separate one - "Annie's Sweet Teeth" because she has more than one sweet tooth! Love this! 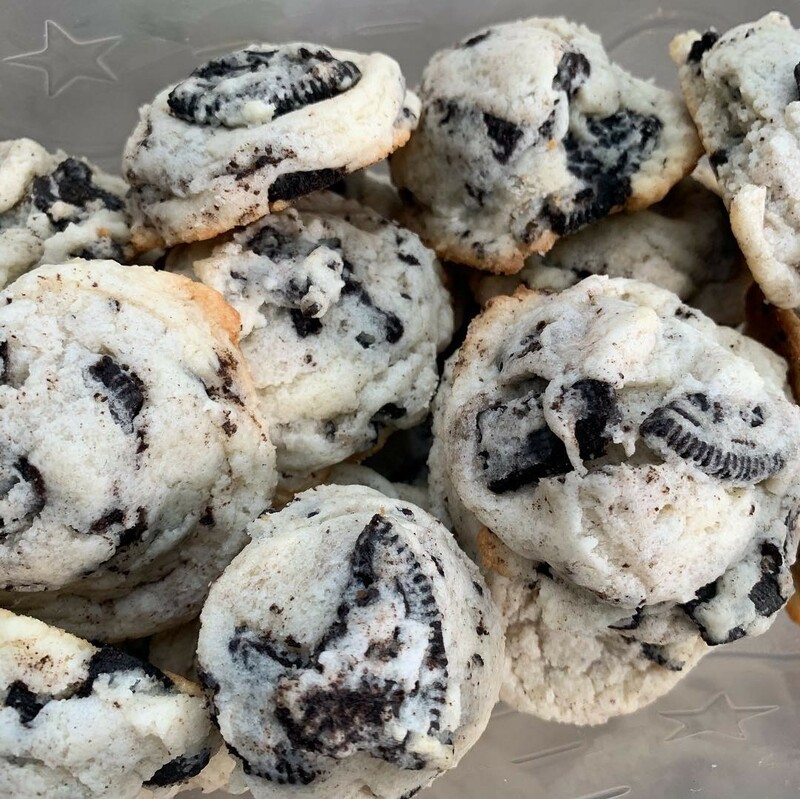 Annie made these yummy Oreo Cheesecake Cookies the other day from Baker By Nature. We both follow Ashley on Baker By Nature on Instagram. You should totally follow Ashley... and Annie! Annie added a little vanilla and a little more sugar! Annie also recommends doubling the recipe! Enjoy! In the body of a stand mixer (or use a hand mixer like Annie does), beat cream cheese and butter until light and fluffy, scraping down the sides as needed. Add sugar and beat well. Add vanilla and mix. Add flour, a small bit at a time, beating on low speed, just until mixed. 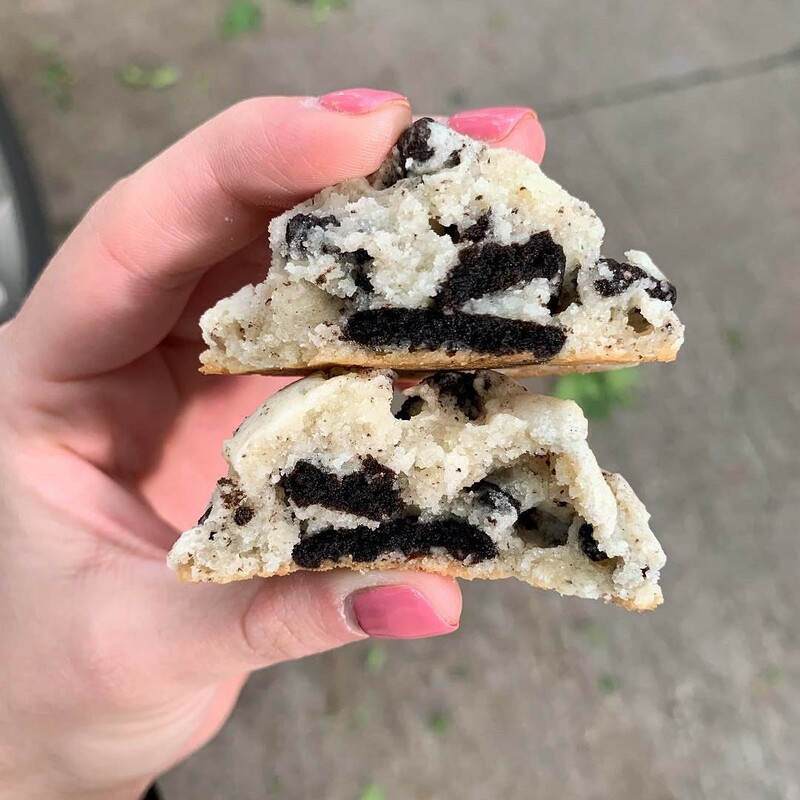 Gently, fold in Oreos until evenly distributed. Cover bowl with plastic wrap and refrigerate for 45 minutes - up to two hours. 30 minutes prior to baking, preheat oven to 350. Line a large baking sheet with parchment paper. Using a cookie scoop if you have one, scoop out 2 Tbsp sized balls of dough and roll them into rounds. Place them on cookie sheet and lightly press down each cookie. Bake for 10- 11 minutes or until edges or just golden. They will be very soft when removed from oven. Cool on baking sheet for a full 10 minutes and then carefully transfer cookies to a cooling rack to cool completely.